Like many people, my first few years of photography were spent going out to shoot as much as possible and trying to learn everything I could about the subject. As my portfolio grew, and I started sharing my images with others, I also started to write about photography–jotting down observations, thoughts about settings, fieldcraft, and composition. These make a good foundation for any nature photographer. When it comes time to take a picture the settings and operation should be instinctive and habitual. If you are fumbling with buttons and settings, you will miss the shot. Repeat: You. Will. Miss. The. Shot. Read your manual, twice, keep a copy on your phone and practice, practice, practice! Eastern chipmunk having a drink. This is the longest one of them sat still for a photo. Each new generation of cameras that come out seems to do more of the thinking for you. While they have become “smarter,” the best images are made when you are in control of the settings. Know how to properly expose a shot, and when to override what your camera is telling you to do. When working with wildlife there are certain behaviors that indicate what the animal is about to do. The better you know your subject, the more of these behavioral cues you will notice. When you know what an animal is about to do, you can be prepared for the decisive moment to capture that behavior in photographs. Whether it is a person, a place, or an animal, knowing your subject will help you make more natural and dynamic photos, capturing the true personality and life of your subject. 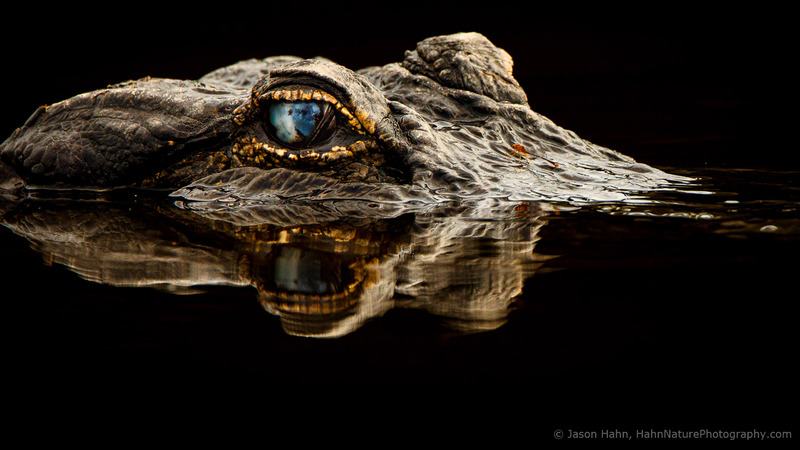 Eye contact in a photo of people or other wildlife engages and draws the viewer into the shot. Eye contact is most effective when you are on the same plane as the subject. So the smaller the subject, the lower your camera position must be. Changing your elevation also changes the photo’s perspective. You will think in different, creative, ways. Instead of taking a shot of the beach standing up, lay down in the sand, then make a shot at water level. Move your viewpoint. You will produce something different and engaging. Look for distracting elements. Slight shifts, side-to-side and/or up-and-down can hide or remove these from the frame. Whether it’s a light switch on the wall in a family portrait or a stick poking up behind a bird’s head, slight shifts (sometimes merely inches) can put that distracting object out of the frame or behind your subject where it won’t be seen. As you compose a shot, scan the edge of the frame for background objects that intersect the edge of the frame or clutter the scene. Move and get rid of those little things that detract from your composition. Photographic life is about split seconds. Think about how a second made the difference between a missed opportunity and a perfect image. Photography is about freezing those moments. The trick is to freeze the instant that really captures the “decisive moment” of action, mood, and composition. When you know your subject and you have previsualized the shot, you will press the shutter and realize the decisive moment. If they are moving, frame them with space for their motion. Pay attention to body position and language. If they are heading or looking to the left, lead them with space in front of them. By giving your subjects space to be alive, your photos will come alive. One of the hardest parts about photography is separating the experience of taking the picture from the quality of the picture itself. It’s OK to like and to keep a photo for the memories associated with its creation. Remember, though, other people did not have the same experience you had capturing it. They will be judging your work solely on what they see in the picture. Get out there. Make photographs. Flowers or birds or ‘gators. It doesn’t matter. Have fun!